If you want to learn how to truly optimize every resource available to you and navigate the lightening quick business world we're living in today then there may not be a better book available. Abraham and Dias are both amazingly accomplished individuals and they do not hold back in this one. "It's not what you don't know that causes pain. It's what you think you know that usually causes the most damage." 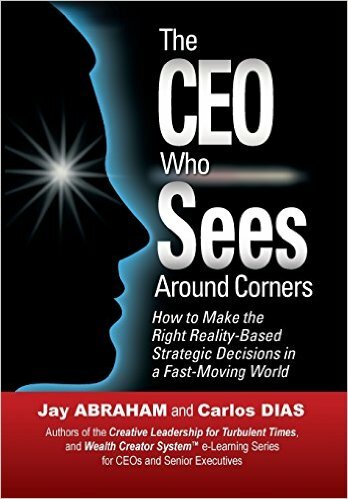 "We are hardwired to look at the world through our own perspective..."
...which makes it super challenging for leaders during these turbulent times. Simply relying on the good 'ole boys club, dubious assumptions, and old world skill sets are just not viable to make the critical decision necessary to navigate the current market. If you happen to pick this book up, I'd love to chat with you about it, and hear what you think. As always don't hesitate to send me a message if you have questions or book suggestions.